Made from tough, anti-slip Nama Hide&trade; Leather, this semi contact foot protector is specifically designed for the use of semi contact and Kickboxing. A wrap-around Velcro strap at the back and elastic strap underneath improves comfort and fit to enhance performance. 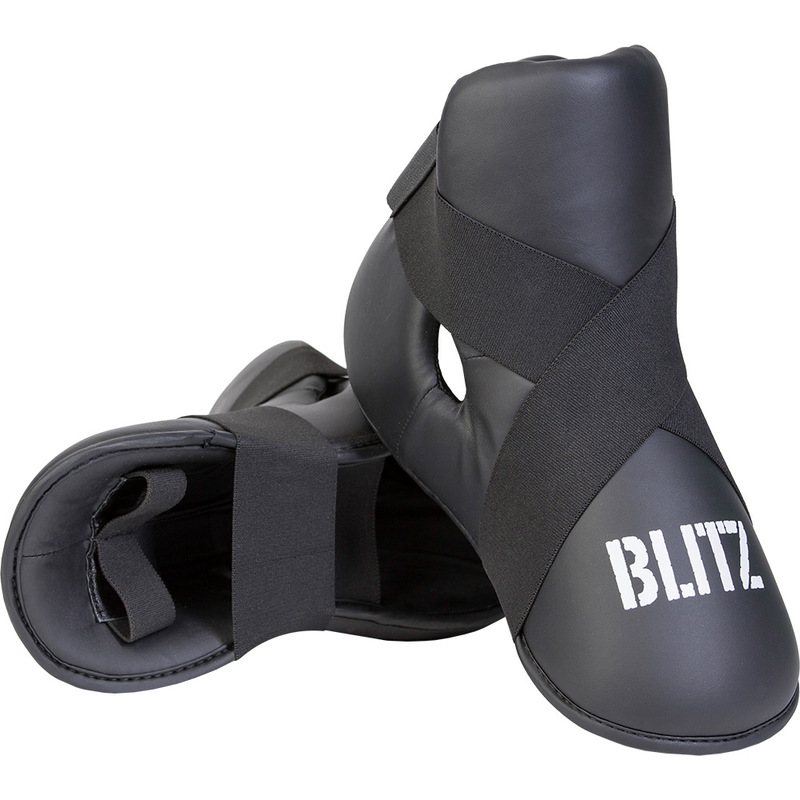 Leave a star rating or review of the Blitz Semi Contact Foot Protector below to help other customers looking to buy Blitz .